Mercer Island senior Donnie Howard competes in 2018 FIL World Lacrosse Championships. July of 2018 was undoubtedly a memorable month for Mercer Island Islanders boys lacrosse player Donnie Howard. Howard, who will be a senior during the 2018-19 school year, was a member of the Russian National Lacrosse team that competed at the 2018 FIL World Lacrosse Championships from July 12-21 in Israel. Howard’s mother Loulia is from Russia, which gave Howard an opportunity to compete on the Russian squad at the world championships. Howard said his Russian teammates were warm and friendly upon his arrival. “I came (to Israel) a few days after the rest of the team because I was on the East Coast. They were all settled in but they welcomed me with open arms. There was a few other Americans on the team who were either adopted in Russia or lived there,” Howard said. Howard said he spent a total of 15 days in Israel. “It was an incredible experience and not quite what I expected. There is a lot of big cities, tall buildings and tons of construction. It is very hot and it’s in the desert. It was very safe place and I loved the culture,” Howard explained. Howard said he has remained in contact with his Russian teammates since returning to the United States. “We have a big Facebook group chat. We also stay in touch through Instagram and we text occasionally,” Howard said. Howard is eagerly anticipating his senior season with the Islanders boys lacrosse squad this fall. 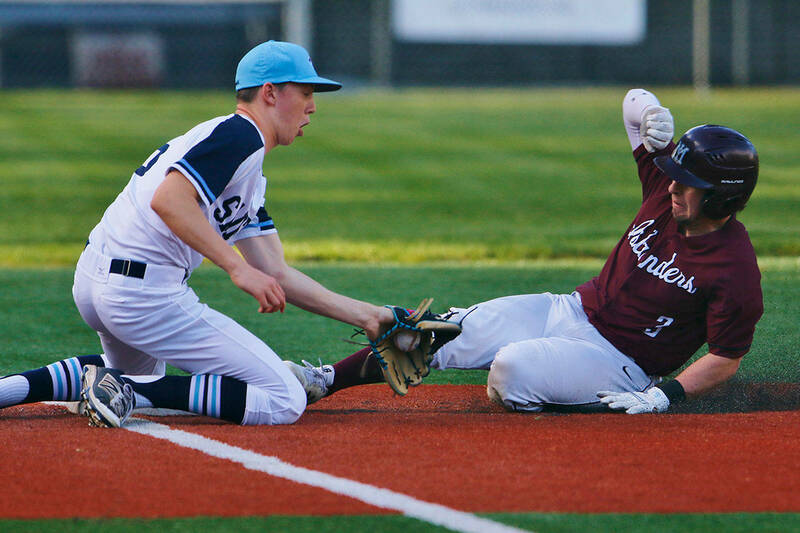 In 2017, the Islanders lost to the Bellevue Wolverines, 12-4, in the 3A state championship game. “I think about that games almost every day. We also lost to them (in the title game) my sophomore year. That has stuck with me. This year we have a tough squad that is deep. We have high expectations. I would like our team to go undefeated, get to that state championship spot and win it,” Howard said. Following his final season with the Islanders, Howard will continue his lacrosse career at Boston University. Correction: A previous version of this article included the incorrect score of the 2017 3A state championship game. The Reporter strives for accuracy and regrets the error.